Forest benefits reach far beyond property lines. State property tax programs are intended to promote these benefits. CC0 photo. “State property tax programs incentivize ecosystem services,” says Forest Service scientist Gregory Frey. Ecosystem services include clean water, timber and non-timber forest products, scenic beauty, wildlife habitat, and carbon storage. State programs that offer tax breaks to forest landowners indirectly promote ecosystem services. Other programs, including some federal cost share programs, directly promote such services. For example, some USDA Natural Resource Conservation Service programs pay forest landowners for sustainable practices. In the South, most property tax programs incentivize timber production, but there is plenty of regional variability, as the research team first showed in a General Technical Report. Professor Michael Kilgore and emeritus professor Paul Ellefson, both of the University of Minnesota, led the team. SRS emeritus scientists John Greene and Evan Mercer participated in the project design and formulation. Project design began in 2011, and in 2014 the scientists – particularly Travis Funk, at the time a University of Minnesota graduate student – started analyzing tax laws. The team assessed and summarized laws and administrative rules for each state’s property tax incentive programs. The review took more than a year, and the team asked each state’s lead program administrators to confirm the summaries. 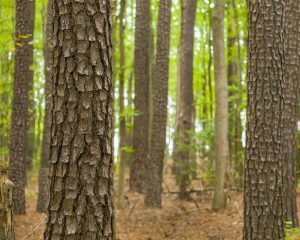 In the South, about 90 percent of forests are privately owned. The review found that more than 1.6 million southern forest landowners participated in state property tax programs in 2014-2015. The collective amount of the reduced property taxes was almost $870 million. The tax deduction ranges from $30 per acre a year in Kentucky to less than $1 per acre in South Carolina. But states with higher deductions don’t necessarily have higher enrollment. 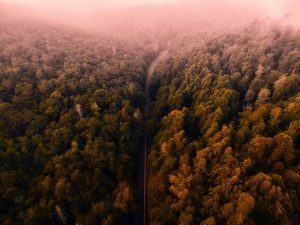 In another study published in Forest Policy and Economics, the scientists estimated that nationally, about 44 percent of eligible land is enrolled. “Enrollment requirements vary between states,” says Frey. “There’s a huge amount of variability between each state’s property tax program. And yet every single state has a program.” States may require forest landowners to confirm ownership and parcel size. Some states require professionally prepared forest management plans. Reviews and inspections – and notification before timber harvesting – are mandatory in some states. Every state has a property tax program to incentive forest landowners. About 44 percent of eligible land is enrolled. CC0 photo. In 2015, nearly 210 million acres were enrolled in 58 different state property tax programs. The programs often involve local governments, citizen advisory boards, tax equalization boards, forestry boards and commissions, forestry divisions, and more. The scientists reviewed program structure and administration in the Journal of Forestry. Across the nation, more than 3.8 million forest landowners participated in state property tax programs. The value of the reduced property taxes was more than $1.6 billion. Read the full text of the papers in Forest Policy and Economics and Journal of Forestry. Read the General Technical Report. For more information, email Gregory Frey at gregoryefrey@fs.fed.us.